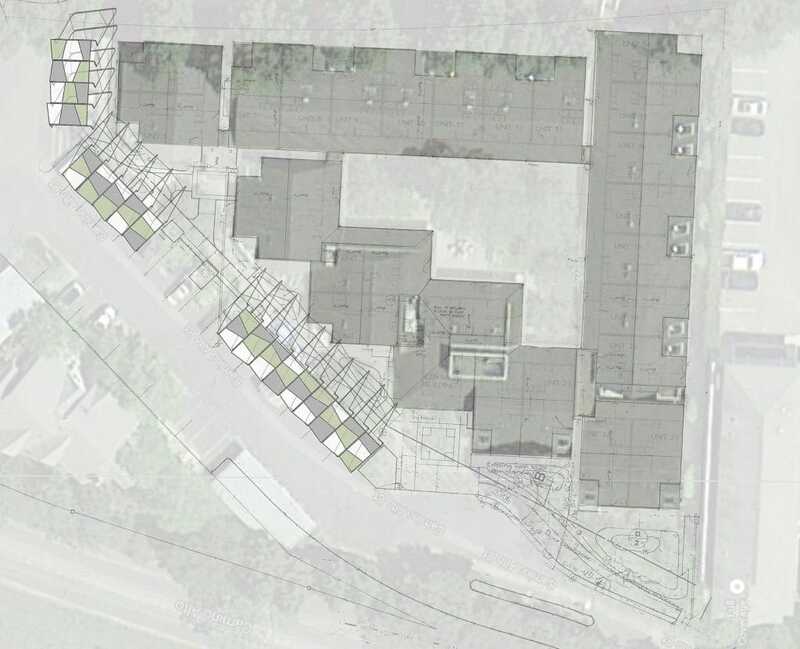 A schematic design for Mercy Housing, adding carports to an existing housing complex. The curved steel framework supports colored acrylic Lucite panels in a palette which blends with the surrounding trees. 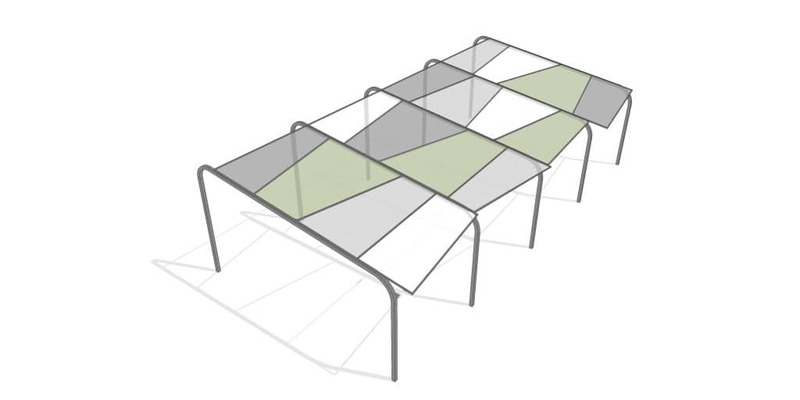 With a color palette which references the natural surroundings, these translucent panels cast colored light upon the ground, while the patterns would shift and mutate depending on the weather and the position of the sun. At the scale of the site, the clusters establish a porous edge to the housing complex and create a playful threshold through which the residents access their units.